Be honest—is there any food more versatile than the noodle? Noodles are arguably the best food for a number of reasons: they’re tasty, they’re easy to make, they’re filling, they’re inexpensive, and they go with just about everything. Pair them with your favorite meats or veggies, or eat them plain—you can’t go wrong at these 10 best noodle places in Mississippi. This creative take on Chinese favorites is what makes this place pop. They’re dishing out their own signature recipes that feature a twist of Southern inspiration for a unique taste. Their noodle soups are a must-try menu item, but honestly you just can’t go wrong. Hefty portions and great flavor keep patrons coming back. This authentic Thai restaurant provides quick service at fair prices that won’t break the bank. Fans agree it’s the best Thai food in town. The meals here are big, but they’re so good you probably won’t have leftovers. This little hidden gem is among the most unique in the city, serving up piping hot noodle soups that are chock full of your favorite veggies and meats. The best part is their huge portions aren’t followed by huge prices. You don’t have to go to Thailand to get a taste of the best Thai food. Noodle soups, salads, and other favorites are clear winners on this all-star menu. 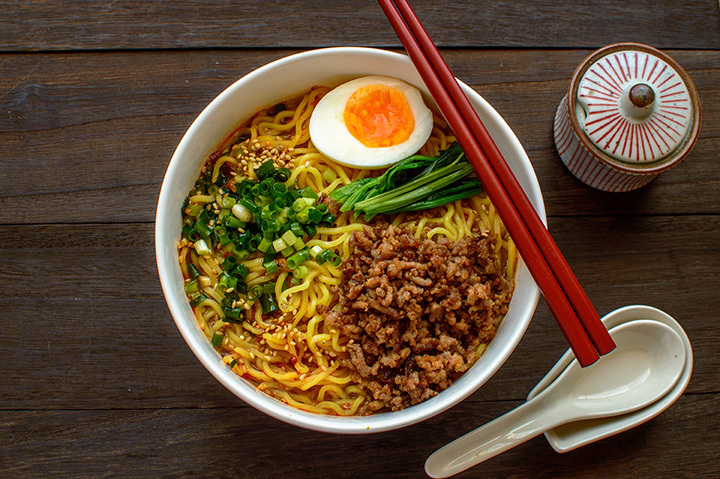 Be warned—some of these dishes more than live up to the Blazing Noodlez name. Part Asian market, part restaurant, you can find the finest of all things Asian cuisine right here. Shop for your own supplies to make delicious noodle dishes, or order a fresh, made-to-order meal or noodle soup. Make sure you save room for the cream cheese wontons—they’re the perfect complement to any meal! If you like options, you’ll love this noodle haven. Start with your choice of beef, chicken, scallops, shrimp, or seafood, then pick your favorite noodle flavorings, like the Pad Thai or lad nah. They also offer a choice between soba or udon noodles for some of their dishes, so there’s plenty to inspire your taste buds. Affordability and flavor come together in one beautiful combination. You can expect quick service for dining in or carry out. Or save yourself some time and order your meal online! They don’t offer much in variety, but they more than make up for it in terms of service, value, and taste. Choose from lo mein, stir fry, or noodle soup, then add your choice of chicken or beef. It’s simple eating, but it’s also good eating. As an Asian bistro, they’ve got it all: bento boxes, sushi, stir fry, and of course, noodles. Udon, rice noodles, and soba options leave your appetite wanting for nothing. Even picky eaters can find something they’ll love. Bubble tea isn’t the only winner on this amazing lineup—you can also get a mouthwatering bowl of ramen, pho, or noodle soup. Every bowl is loaded with fresh ingredients that look every bit as good as they taste. And of course, make sure you pair it with a refreshing bubble tea.